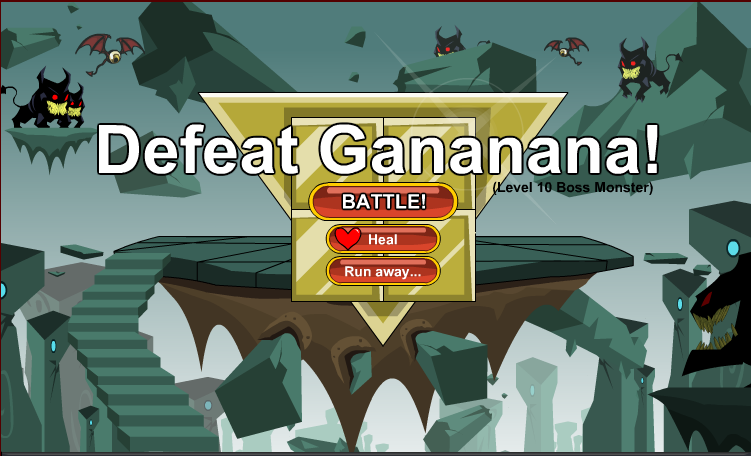 All Forums >> [Artix Entertainment Games] >> [DragonFable] >> [DF Encyclopedia] >> Locations / Quests / Events / Shops >> Defeat Gananana! Objective: You have assembled all four pieces of the mighty Quad-Force and now you must battle the wicked Gananana to ensure that it is never stolen again. Objective completed: You and Robina the Hood have defeated the evil Gananana! Now the Quad-Force will be safe for ever... or will it?! 1. Opening screen for the battle. 2. Gananana is a reference to Ganon, the main antagonist from The Legend of Zelda. -- Aaron exe for reference.